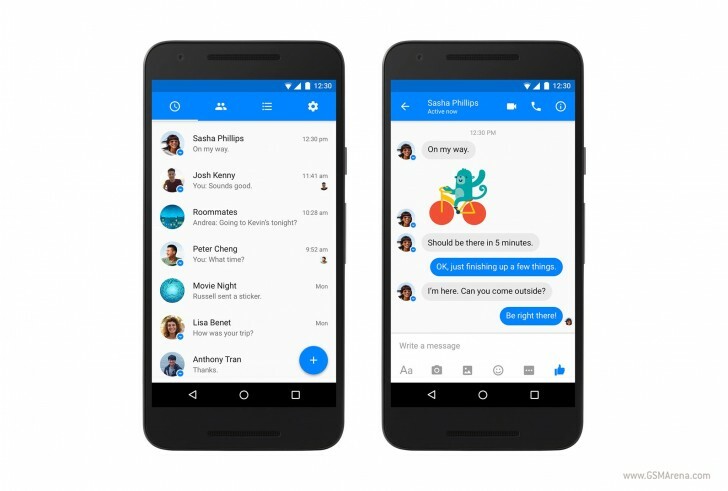 Later today, a new version of Facebook Messenger for Android will start rolling out through the Play Store. This will finally adhere to Google's Material Design guidelines, now almost two years old. Still, the Messenger app is ahead of the actual Facebook app in this regard, belive it or not. Various Material Design elements have been in testing by the Messenger team over the past few months, and have been spotted in a number of beta versions of the app. The company has also enabled them for some users, but not for others, in what's known as A/B testing. But now the new design is going out to everyone. The rollout itself might take a few days to complete, as is always the case with such things. You can get an idea of what Facebook Messenger will look like after the update by glancing at the screenshots above. I was getting it since last two months..